Kent, Rockwell. What Vermont Means to N.Y.: Three Views..
Norman Thomas - C. Hathaway . ..
Ward, Benjamin. Marxism-Horvatism: A Yugoslav Theory of Socialism. From Capital to The Marx-Engels Reader, from	Capital to Socialism In Theory and Practice, we can help you find the socialism books you are looking for. As the world's largest independent marketplace for new, used and rare books, you always get the best in service and value when you buy from Biblio.com, and all of your purchases are backed by our return guarantee. A classic of early modernism, Capital combines vivid historical detail with economic analysis to produce a bitter denunciation of mid-Victorian capitalist society. It has also proved to be the most influential work in social science in the twentieth century; Marx did for social science what Darwin had done for biology. Millions of readers this century have treated Capital as a sacred text, subjecting it to as many different interpretations as the bible itself. 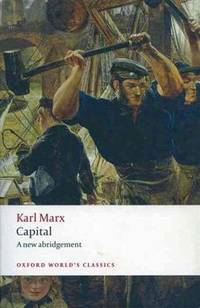 No mere work of dry economics, Marx's great work depicts the unfolding of industrial capitalism as a tragic drama - with a message which has lost none of its relevance today. Originally published: New Brunswick, N.J. : Rutgers University Press, 1949. Includes bibliographical references and index. One-Dimensional Man is a book written by philosopher Herbert Marcuse, first published in 1964. The work offers the reader a wide-ranging critique of both contemporary capitalism and the Soviet model of communism, documenting the parallel rise of new forms of social repression (both public and personal) in both these societies as well as the decline of revolutionary potential in the West.